Lynn Masako Cheng on “Kevin Can Wait” Tonight, Sofia Roma Rubino in HeadBanz Commercial, and more! 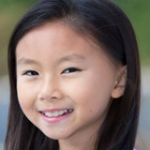 Alum Lynn Masako Cheng (Annie) will guest star on “Kevin Can Wait” 9/8c on CBS tonight! Make sure to tune in! Alum Sofia Roma Rubino (Billy Elliot) appears in a commercial for Headbanz! Check it out at ISpot.TV or below! Check out the first highlights from On Your Feet at BroadwayWorld.com or below! Waitress is holding auditions for Lulu in Minneapolis! Get more info at HennepinTheatreTrust.org! And check out these pictures and videos from the kids of School of Rock, Love Never Dies, Les Miserables, The Lion King, Finding Neverland, and On Your Feet! Previous Article Photo Coverage from LOVE NEVER DIES, Sneak Peek at Denver and Columbus WAITRESS Auditions, and more! Next Article Lexi Underwood on “Walk the Prank” Tonight, Pictures From LES MISERABLES, and more!